The picup official account turns your mobile phone into a handy delivery remote control, switching your online order into a real-world delivery. Through this innovative service, customers have access to a courier service that is efficient, accessible and simple to use. It only takes a few clicks to sign-up and once registered, you’ll be able to send your order to the closest driver without any paperwork or admin hassle. 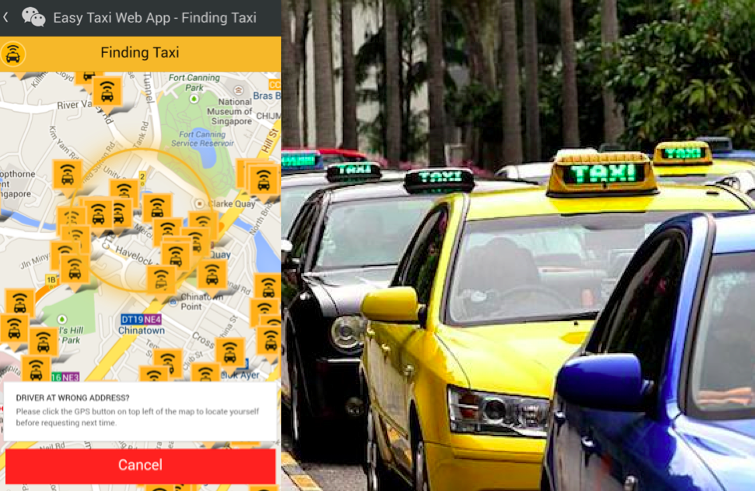 WeChat and Easy Taxi Singapore partnered up last year so no one has to endure the hardships of hailing a cab again. Users can instead book taxis directly in the WeChat mobile app with just a few taps. WeChatters simply follow the official account, “EasyTaxiSGP,” and then click the button “Call Taxi.” A cab will then be on its way based on your shared location. 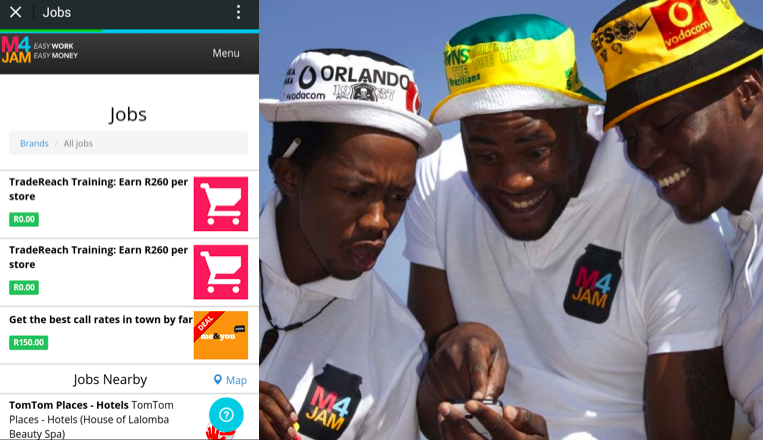 M4JAM (Money for Jam), a micro-jobbing service in South Africa gives WeChatters the opportunity to earn some extra cash by completing small jobs around town. All jobs that come from M4JAM are hosted through WeChat’s official account. Jobs can range from taking surveys for research companies, auditing merchandise to mystery shopping. M4JAM not only helps WeChatters earn easy money but also helps organizations take large, time-consuming jobs and transform them into micro-jobs that the community can work on together. In doing so, this innovative official account is looking to help businesses distribute their manpower while giving WeChatters another way to earn easy money. 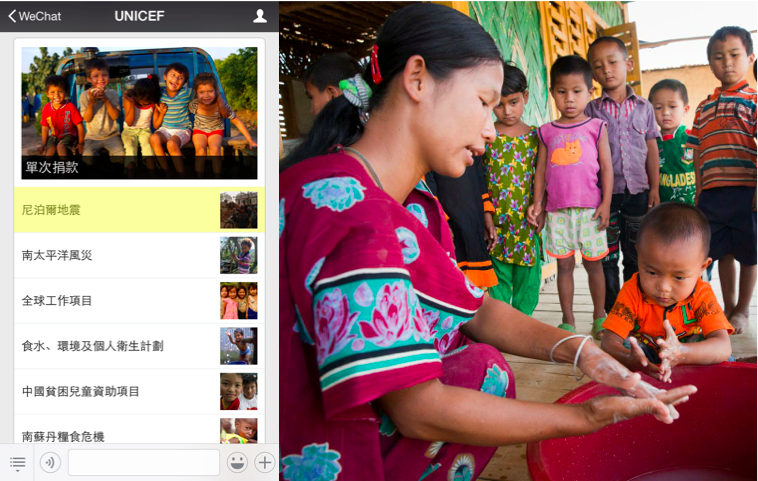 UNICEF’s official account introduced a payment channel and platform to support relief efforts around the world. 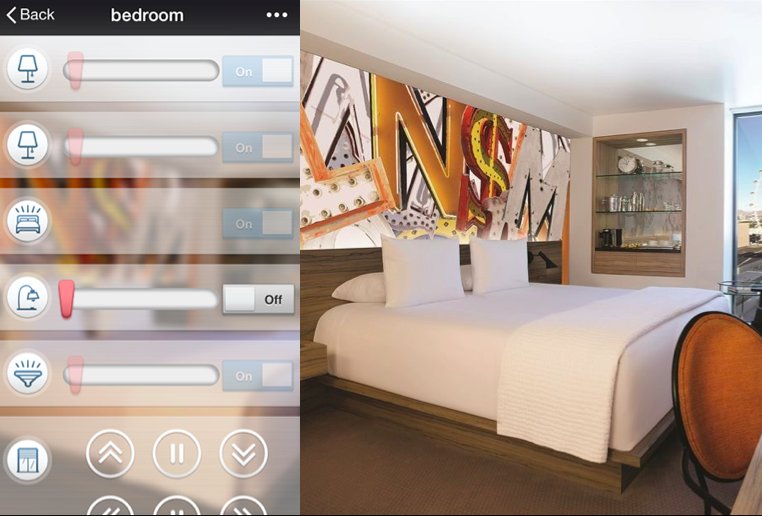 By partnering with WeChat, users can contribute easily and conveniently through their smart phones. WeChatters can specify the type of contribution and even donate “Inspired Gifts” where the monetary donations go towards specific actions, such as providing vaccinations, education resources, or micronutrients to improve children’s lives around the world. 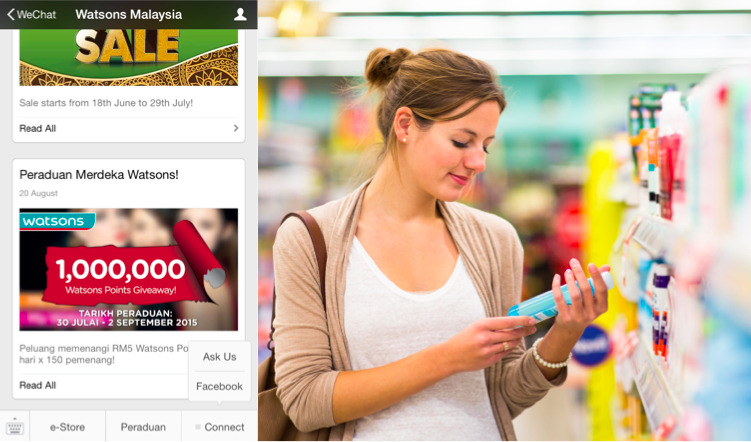 Watsons, the largest personal care store in Asia opened an official account and brought its e-store to life on the WeChat platform in Malaysia. Users can purchase goods through the e-store that connects back to the Watson’s offline payments solution or check out the latest promotions without leaving the app. In China, followers can also access their electronic VIP card and receive directions to their nearest Watson’s store by sending their location to the account. Watsons even created a voting platform for a contest they ran in Malaysia for the hit show ‘Raya Ni Dah Kahwin’ and encouraged WeChatters to vote for their favorite actor or actress for a chance to meet the stars themselves. Beauty product retailer Sasa is the first global retailer to accept payments via TenPay from tourists from Mainland China. Weixin users can pay via its mobile payment solution in their Hong Kong stores. Stores are equipped with mobile payment capabilities and by scanning a unique QR code for each transaction, users are able to make purchases. 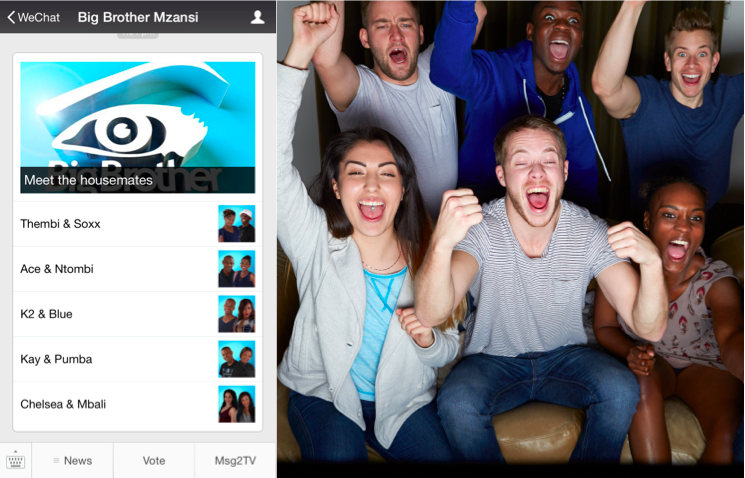 WeChatters are embracing the second screen experience with Big Brother Mzansi in South Africa. For the first time this season, followers could vote for who they would like to see sent out of the house next, chat with other fans and even interact with the contestants. In addition viewers could send their messages of support and see them displayed on the dedicated channel created for the show. When you’re feeling sick, the thought of having to travel to a doctor’s appointment can seem daunting. 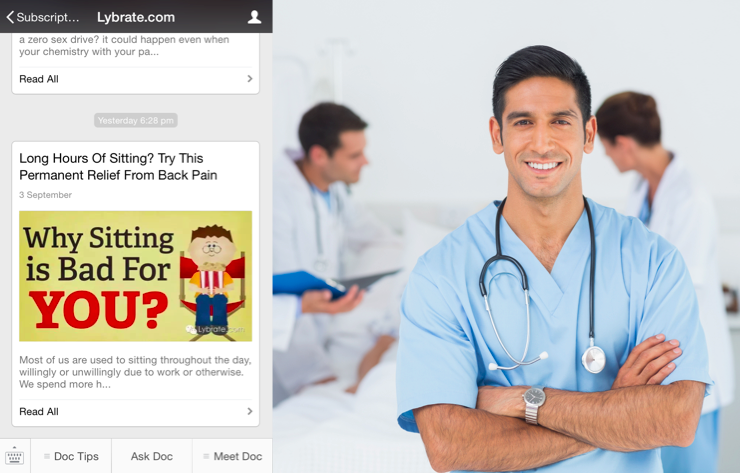 With the Lybrate.com official account, WeChatters in India can consult thousands of top registered doctors directly from WeChat for free and anonymously. The official account allows you to also book appointments or if you’re looking for general health advice, you’ll be able to receive top tips on healthy living, parenting or managing chronic diseases. These are just a few of the many WeChat official accounts users are taking advantage of to embrace the WeChat Lifestyle. Search for your favorite brand to see if they have an official account, you might be surprised by what they’re bringing to the WeChat platform!